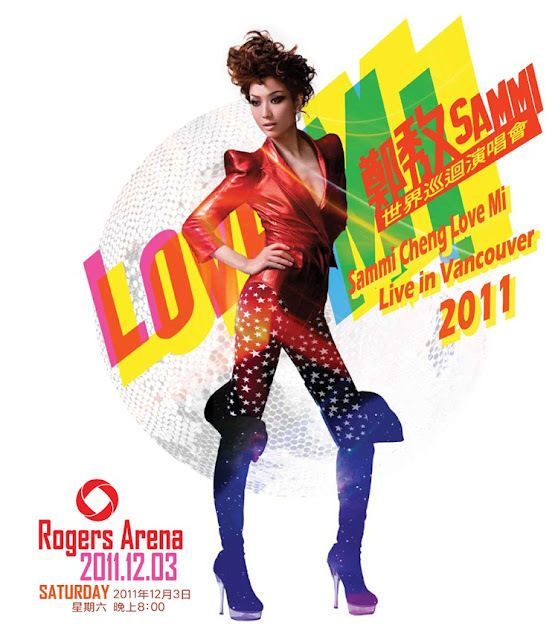 It's a Music + Fashion post: Binzento Vincente went to watch the Hong Kong canto-pop star Sammi Cheng "Love Mi" World Tour Concert at Rogers Arena, Vancouver. This was her last stop of the tour, following her shows in Toronto and Las Vegas. Honestly, as much as I love Sammi, I wasn't expecting anything spectacular for this latest tour. Biggest reason is because "world tour" concerts are often smaller scale depending on the sponsorship and the proportion of fans willing to spend extra dollars for tickets to see an "international artist". Especially when the front row seats for this concert cost nearly $500 (I paid less to watch Madonna). The stage is always under-constructed since the "official" stage lighting, props, and dancers from the original show (in Hong Kong) could cost a fortune to transport all the way from one side to the other side of the world. However, Sammi's "Love Mi" World Tour was much better than I expected. Not only she performed very well live, the charismatic and entertaining Sammi was enough to compensate what seems to be missing in a typical spectacular concert. She had a total of six different outfits (not bad) throughout the night. In addition to some of the costumes from her Hong Kong tour, she also wore a Versace for H&M outfit at the end of the encore session. Most of her outfits displayed studded garments, bringing back her retro styles in the 90's. My favourite outfit of the night was the long white flowy dress that was sheared sideways up to her thighs, exposing her beautiful legs. It was an elegant piece while she performed some of her older romantic songs. 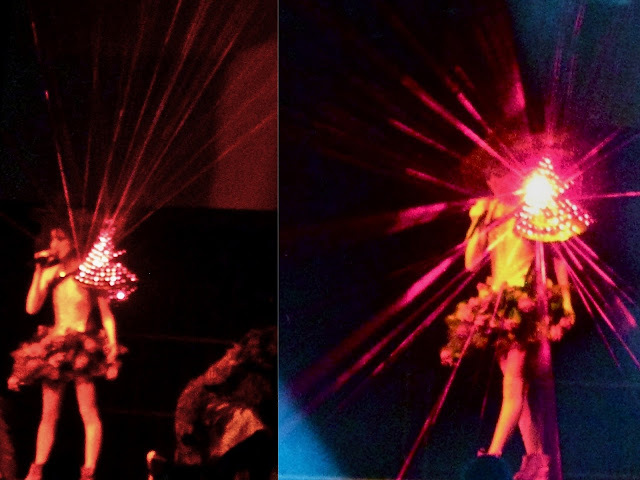 The coolest outfit was her ballerina fruit dress, with a huge lit up shoulder pad that shot laser beams across the arena. Towards the end of the show, Sammi invited two audience onto the stage to perform their favourite songs with her. 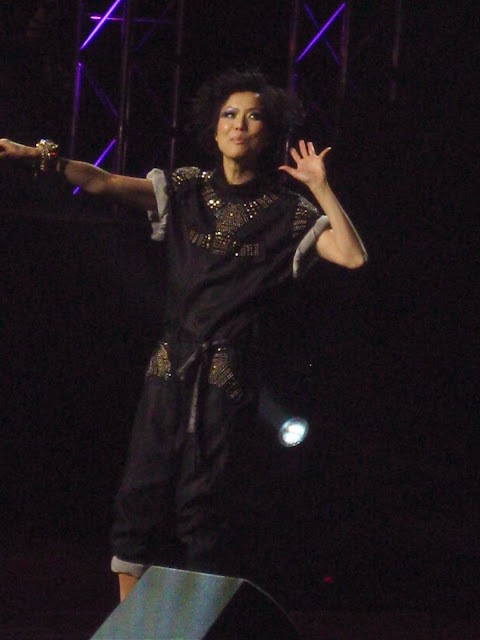 Sammi decided to give her two fans on stage pieces she wore at this world tour concert, which include a black fur vest and a lovely Versace bracelet. LUCKY bastards!! 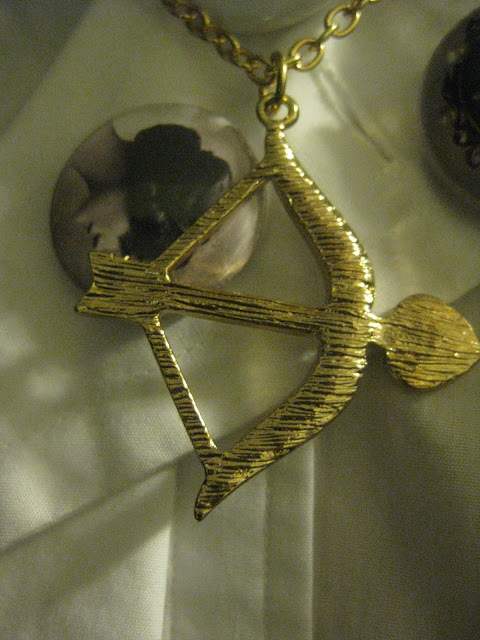 To show off YYC style in Vancouver, I wore a bow & arrow necklace from Boopydoodle. 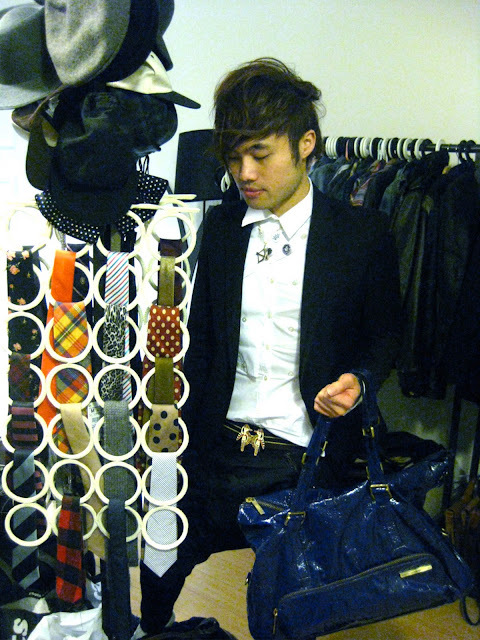 A vintage multiple buttoned, assymetrical Badgley Mischka, a blazer by K-2 and my duffle bag by Matt and Nat. Keeping it consistent with this post: Music + Fashion, I like to mention a photoshoot I went to last week here in YYC. My friend Odessa Bennett, along with fashion designer of NRT Fashions, Nicole Rita Tomney and costume designs by Dusted Rose Designs, styled local musician Trev Kill of Negative Earth for his upcoming music album cover and video. Binzento Vincente working one of the prop pieces! The theme centralized a gothic rock style and look, which Binzento Vincente had an opportunity to help the ladies with some of the props. 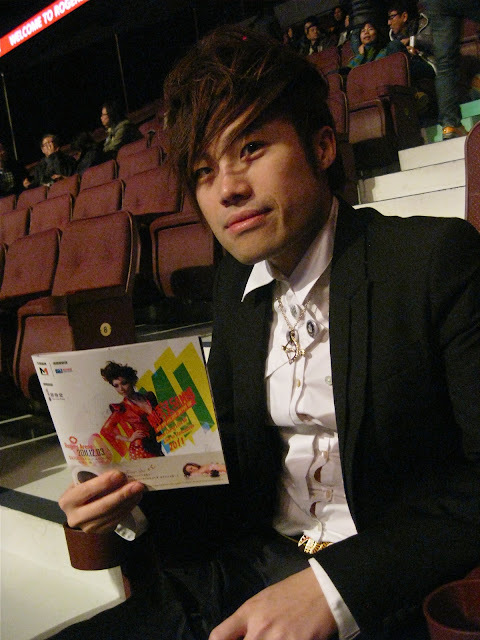 Trev Kill plays what he call it the "Electronic Gravity Rock", which is similar to the Japanese "Visual Kei" style, and musicians like Gackt, Luna Sea and L'arc en Ciel. 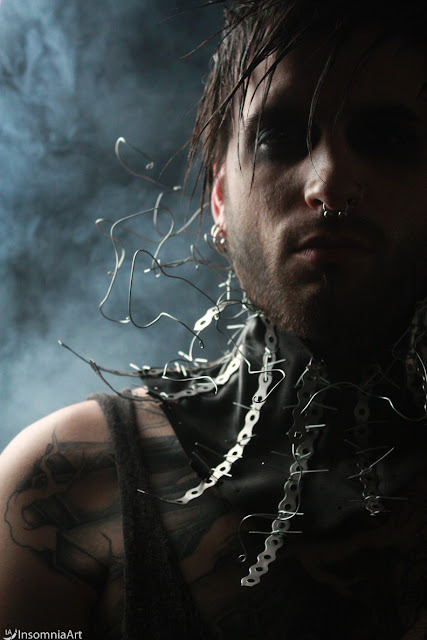 Don't get fooled by Trev Kill's dark and mysterious looks. He is actually a very genuine and friendly guy. 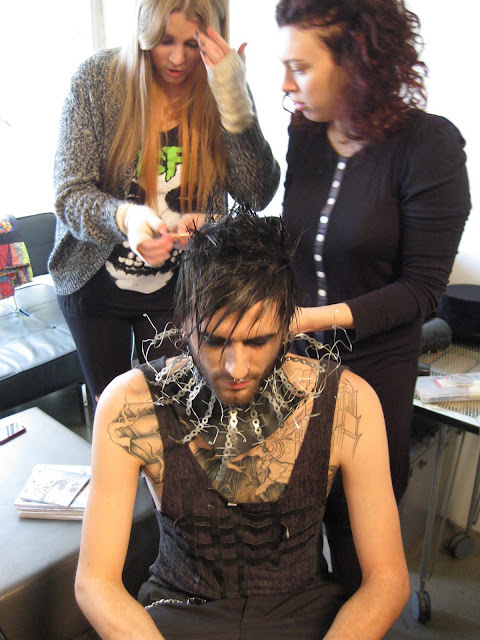 The shoot is on going in the next few weeks. Here is a little preview of what's happening so far!